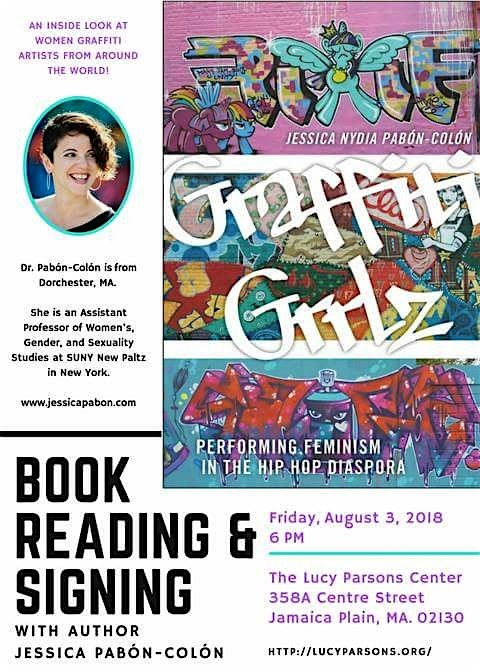 Brilliantly countering any claims that feminism is dead and that the Hip-Hop culture “is detrimental to women and girls,” Jessica Nydia Pabón-Colón has written an impeccably researched study of the grrls who have paved their way into the predominantly male graffiti culture, claiming their own space. Based on interviews conducted with over 100 graffiti grrls across the globe over the span of 15 years, the author, now an Assistant Professor of Women’s Gender and Sexuality Studies at SUNY New Paltz, provides us with a window into the minds, practices and experiences of a wide range of female writers crossing cultures and generations. Among the many assumptions and false claims female writers often have to contend with are that they are writing graffiti to get noticed by guys or doing it to make their boyfriends happy. Or that they aren’t writing at all; it’s their boyfriends who are doing it for them. Rumors, too, regarding their sexual promiscuity are rife. And yet, for various reasons, many are reluctant to identify as “feminists,” a term too often associated with man-haters. Pabón-Colón relates how when she first asked the famed bomber, Miss 17, if she was a feminist, her immediate response was a brusque, “No.” Five years later – in 2009 – Miss 17 had tempered her views, largely due to the friendships that she had developed with the likes of Claw Money and the author, herself. 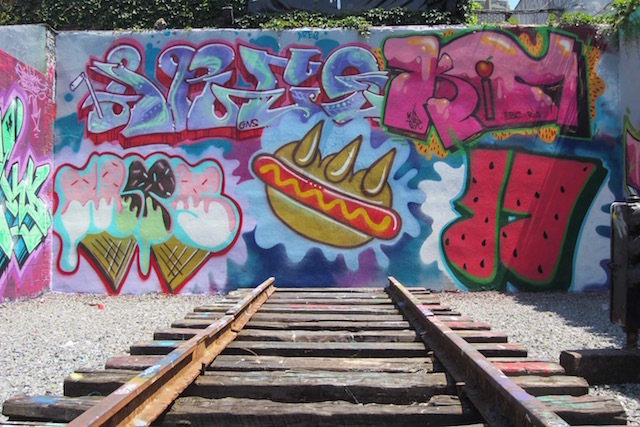 Throughout Graffiti Grrlz: Performing Feminism in the Hip Hop Diaspora, the author convincingly advances both feminism and graffiti as positive and vital social and political forces. 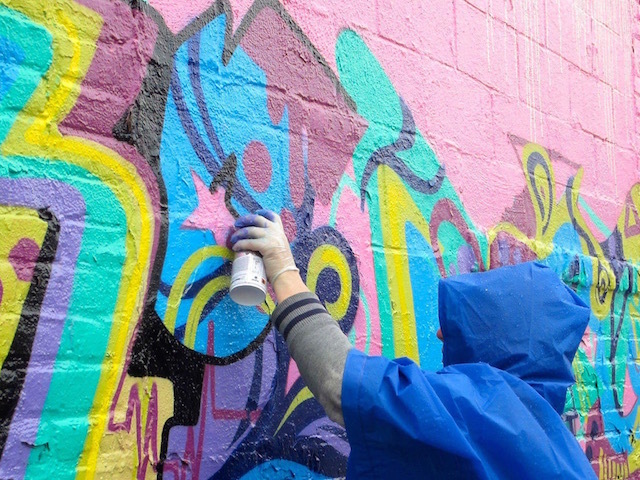 Australian artist Ivey, for example, recounts the pride she feels on seeing her tag up and credits the graffiti culture with helping her get through difficult times and motivating her to pursue her education after graduating from high school. 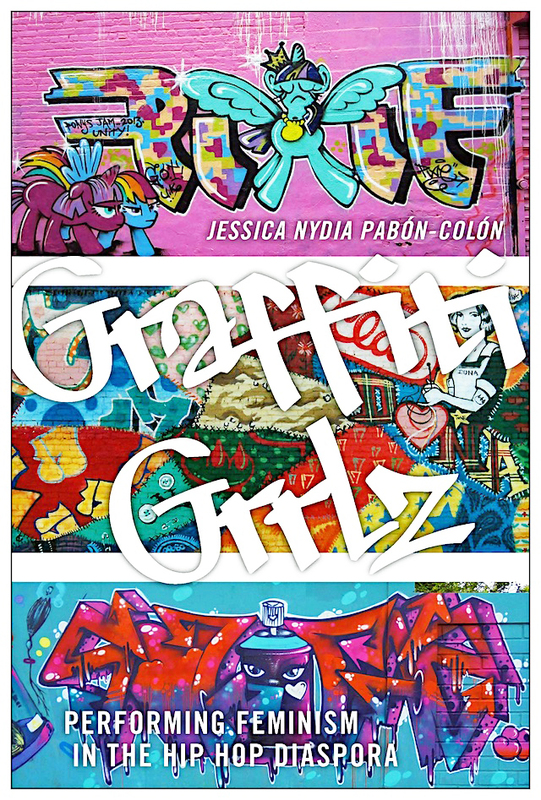 Published by New York University Press, Graffiti Grrlz is the first academic study on women’s participation within the graffiti subculture. Appended with examples of black book pages, comprehensive notes and an extensive bibliography. Pabón-Colón’s work is a rich tribute to the grrls whose voices are too often silenced and a gift to all of us who love graffiti, perhaps the most significant art movement of our time. You can order the book directly from the author with a special discount here. And follow news of her readings and signings here. 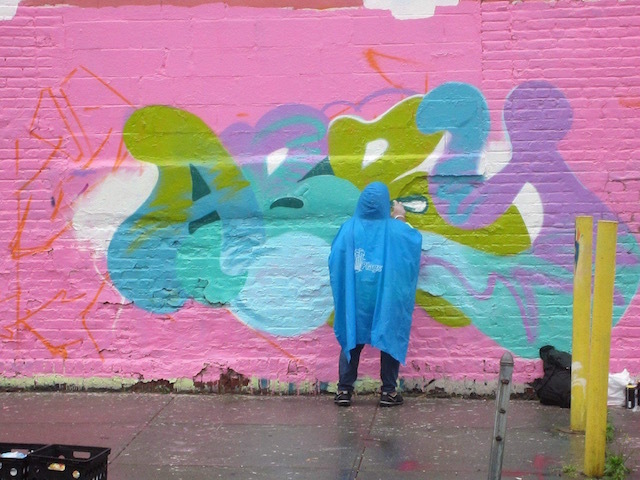 Note: The third image features NYC native Abby and the final one features London-based Chock painting in the Bronx.